Holiday gifts from the grocer! Sponsored by QFC. Bellevue — Out of time and ideas? Try holiday shopping at a grocery store. QFC is full of great ideas, and Jim Dever tasted all of them at their store in Bellevue Village Center. 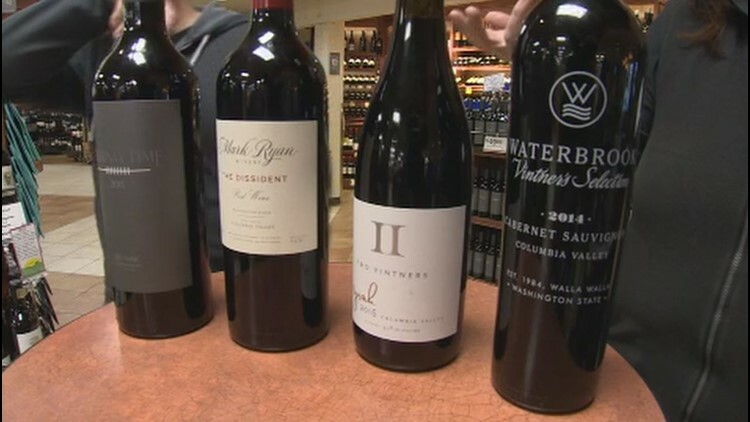 The wine and spirits department is an obvious first stop, and award-winning wine steward Carly Little helped with a range of suggestions for every budget: "We have the Waterbrook Vintner's Cab, which is a QFC exclusive, easy drinking, under 20 dollars,” she said. "And then the piece de resistance, is Passing Time,” she said, showing off a bottle of 2015 red from the winery, which is owned by former Husky Damon Huard and former Miami Dolphin Dan Marino. Prices start at 49.00. Next stop is the cheese department. 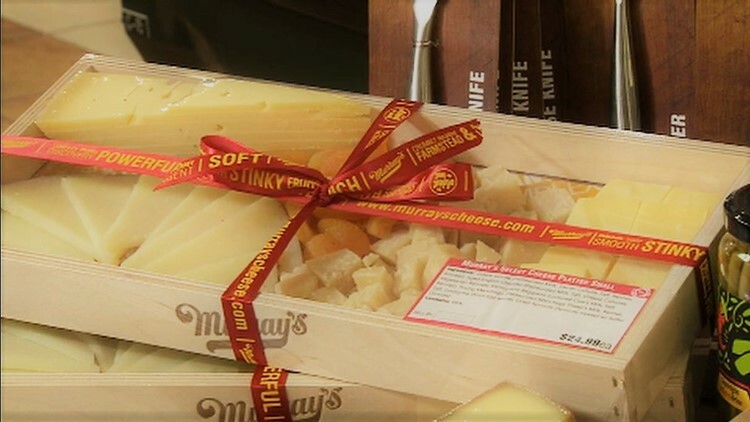 Cheesemonger Shelley Keene stuffed Jim with samples and sent him on the way with a pre-wrapped gift tray with a variety of cheeses from Murray's, which is a perfect hostess gift at $24.99. You can find a Big Cheese hat there also. No slicing, no choosing. Perfect hostess gift. Want treats but don’t’ bake? Then the cookies, croissants and holiday breads from longtime baking family Schwartz Brothers (they recently acquired Brenner Brothers and are producing their challah bread and knot rolls) are perfect to bring to any holiday get together. A vintage 70’s photo of the original Schwartz Brothers, Bill and John, looks over the bakery’s current offerings at the QFC in Bellevue. “They founded it in 1973, and it's been in the family for two generations, and we're having a lot of fun with it, it's a fun business to be in,” said Lindsey Schwartz, son of Bill Schwartz, who is continuing his father’s tasty legacy. Finally, a new department, Fit Market has all things healthy. Even workout stations for some in-store fitness breaks. 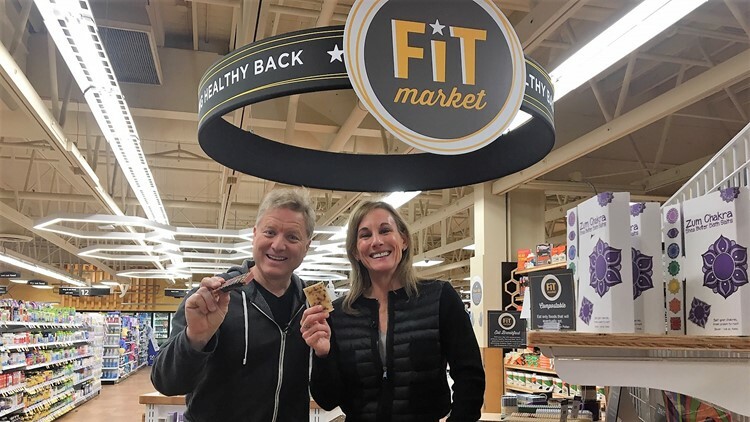 QFC President Suzy Monford, who has a background in health and fitness, is the force behind the new department that has everything from Bulletproof coffee to handmade soaps. "Great stocking stuffers, but most importantly, this is how we recover. Did you know the average person gains seven pounds between Halloween and New Years? This is going to help you recover from that,” Monford explained. She also said QFC is the only grocer in the Pacific Northwest to carry Bulletproof products. Next time you need to duck into a grocery store because you procrastinated on the holiday shopping, bring these tips, and zero guilt. You can find both guidance and gifts at your neighborhood QFC.